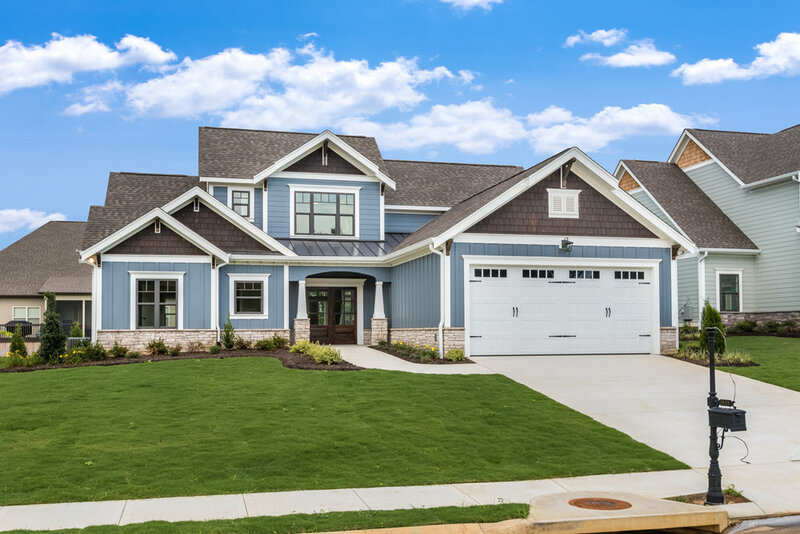 While we try to have several spec homes available for purchase in the neighborhood throughout the year, buyers also have the choice to build a home. We get a lot of questions about how that process works so we have tried to make it as simple as possible. Below is an overview of the custom home building process in Blackstone Creek. To begin the process you will first need a pre approval letter from your lender stating that you qualify for a home of similar value and with no contingencies to sell another home. From there you will select the available lot that you are interested in pursuing and you will submit a lot reservation form along with a $5,000 refundable deposit to hold the lot for 30 days. Once we have your lot reservation you will also need to pick a house plan. We have all of the house plans listed on our website and several available homes for you to walk through. We will meet and talk through the details of your new home and any changes you are wanting to make to the existing floor plan. Once we have talked through all of your new home specifications the builder will work on a pricing sheet. This will allow you to go through and decide which of the options you are considering that you would like to include in the final home. At the end of 30 days, if you decide to move forward and we will put all of those details into a contract and your $5,000 deposit will go towards your first deposit. Once we have your contract details all worked through and signed you will pay a 5% non-refundable deposit. From there the builder will begin work on your new home. We have a designer that works with you each step of the way so as you make design choices for your new home she will be there to assist and help manage budget. Once we are at framing you will pay an addition 5% in non-refundable deposits. After that we will keep you updated as the building process continues and it is time for walk-throughs. Once your home is complete you will close on a mortgage with your lender as in other real estate transactions and the deposits you have put down go toward your downpayment on the home.